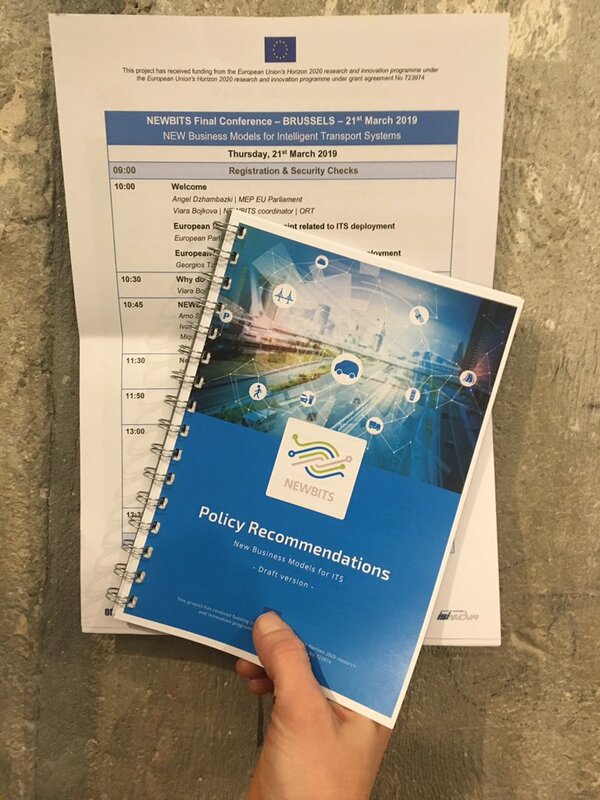 The market for ‘Intelligent Transport Systems’ (ITS) is changing rapidly: topics like urbanisation, sustainability and digitalisation are changing the environment as well as the near future. Despite the investments in technology development and feasibility demonstrations, the systematic market penetration of ITS applications remains a major challenge. 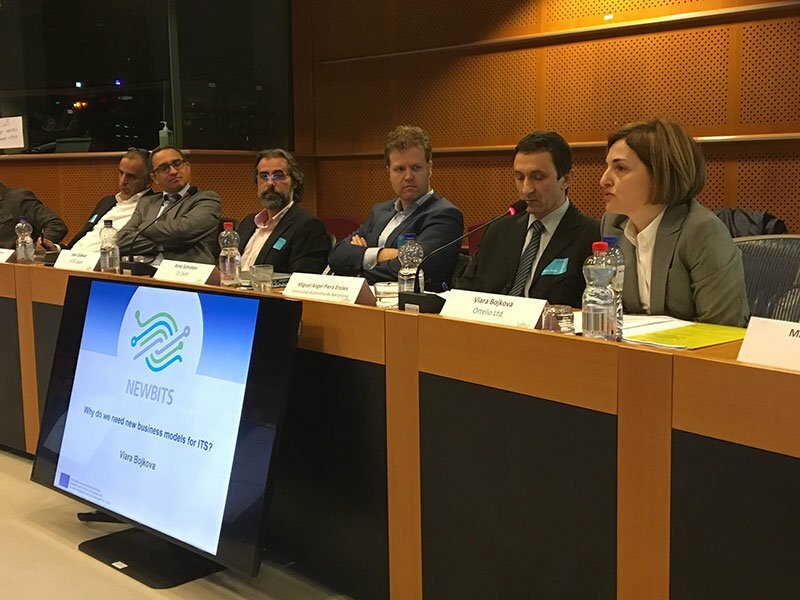 The Horizon 2020 project NEWBITS (‘NEW Business models for ITS’) is facing this challenge, aiming at providing a deep understanding of this ever-changing world by analysing the current European market and developing potential new business models and incentives in order to accelerate a successful ITS deployment. 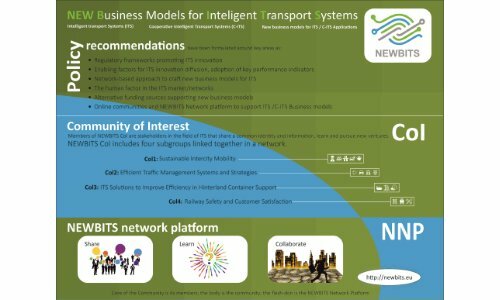 A market research analysis was conducted within the scope of NEWBITS to gain valuable market insights and a sound basis for the development of innovative business models. 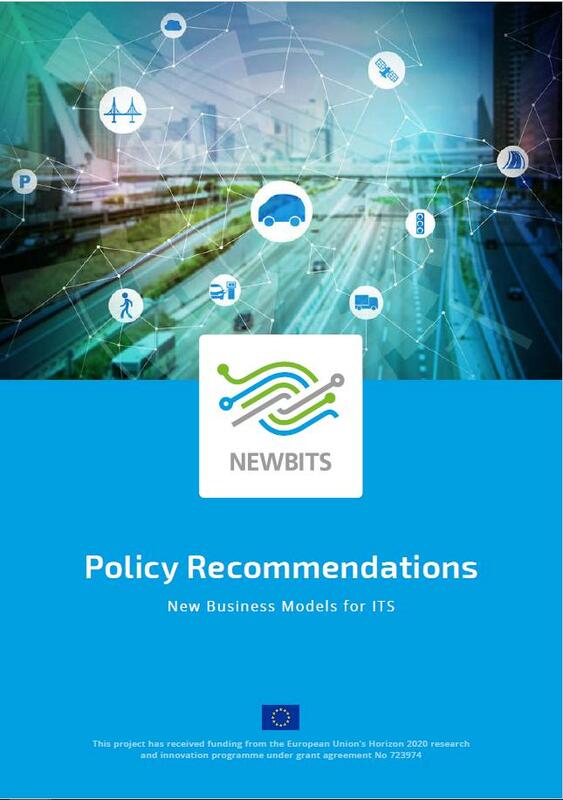 It analyses the market, identifies key stakeholders and defines value chains for each of the 4 case studies addressed within NEWBITS. All case studies, which are based on actual pilot projects, have been carefully selected and validated as representative for the current ITS market, covering several transport modes – road, rail and inland waterways. In addition, different geographical areas and ITS services were captured: Next to a carpooling service in Spain, an urban traffic control solution in Italy and a synchromodal track-and-trace solution for container transport in the Netherlands, a predictive maintenance solution for railway operations in the United Kingdom was investigated. 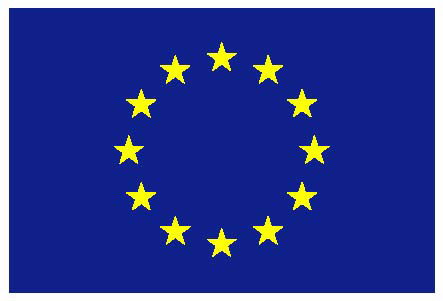 The full market research analysis will be available soon on http://newbits-project.eu/publications/deliverables/. You can download this 2nd NEWBITS press release here.